Updated! 3 bedroom 2 bath home in Lakewood Elementary. 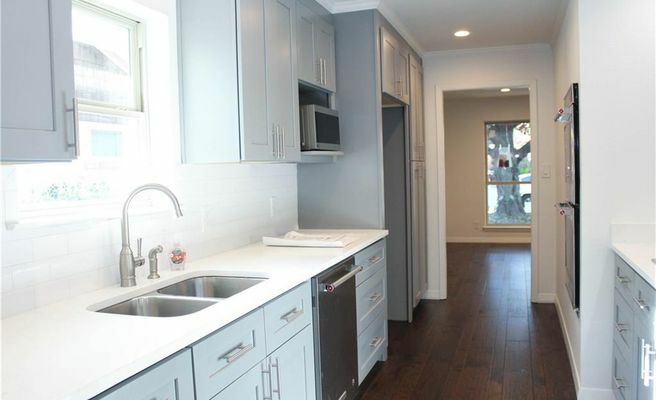 Completely remodeled kitchen, bathrooms, flooring, paint. Kitchen has quartz counter tops, SS Kitchen Aid appliances. Great living spaces with open floor-plan. Bathroom vanities have marble counter-tops, Master bath has separate tub and shower with glass door. Wood flooring throughout with carpet in bedrooms. Laundry room has WD connections, with built-in cabinets and sink. Open Patio that overlooks the beautiful backyard. Terrific location in the heart of Lakewood ready for renovation. 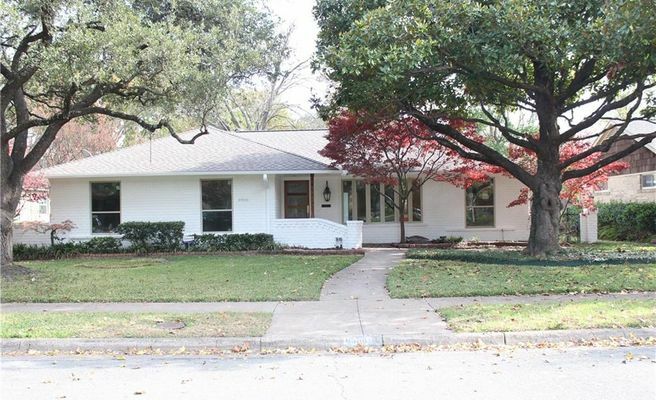 This traditional home has been very well maintained and is ready for your cosmetic updates or addition. 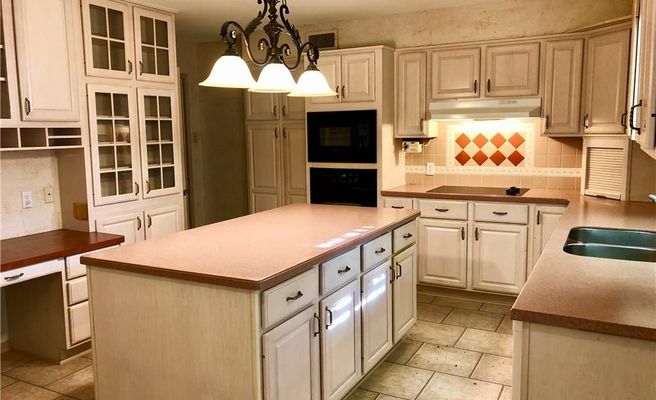 The kitchen has been previously updated with a center island, lots of cabinets and solid surface counters. 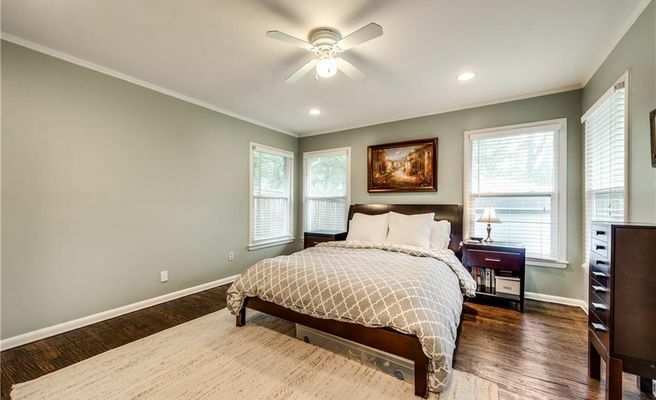 There are hardwood floors under the carpet and two original 50s style tiled bathrooms. 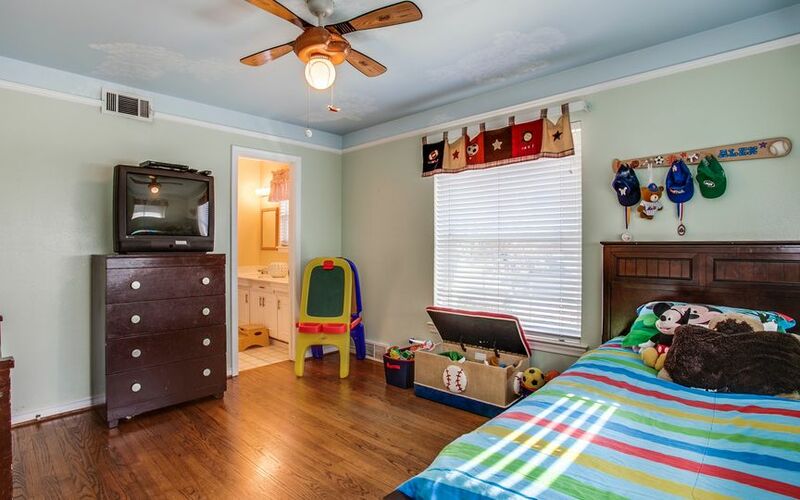 Each of the three bedrooms has two closets plus there are several large closets in the bedroom hallway. The den at the back of the home features a gas start wood burning fireplace. 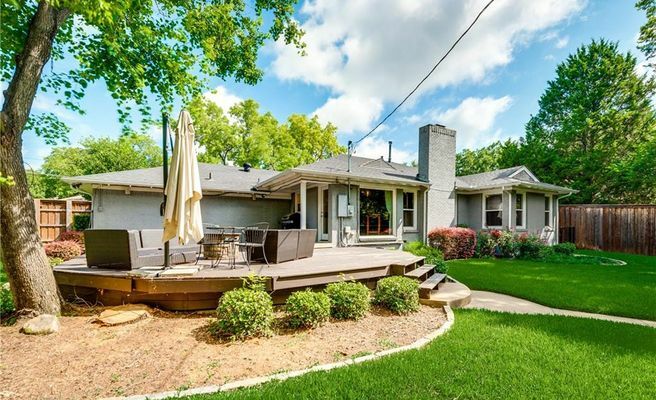 Beautiful drive up with large mature trees and a covered front entry porch. 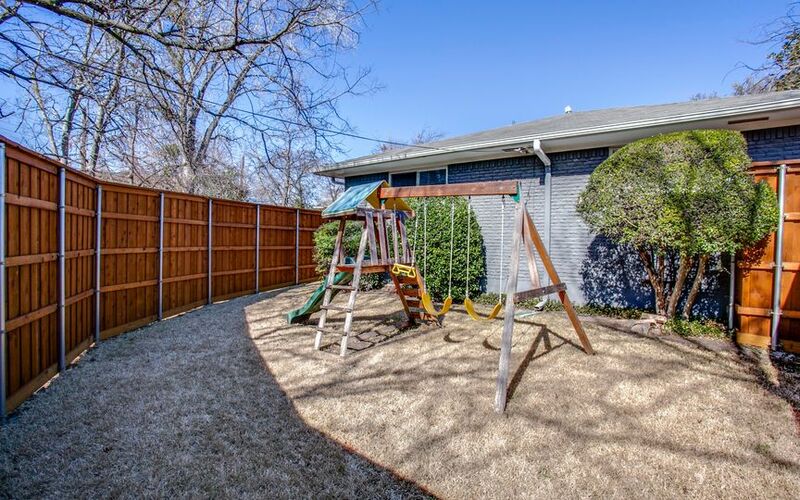 Close proximity to the coveted Lakewood Elementary School. Home to be sold as-is.